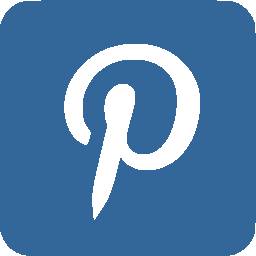 Today I have another stamping plate from Born Pretty Store to share with you. 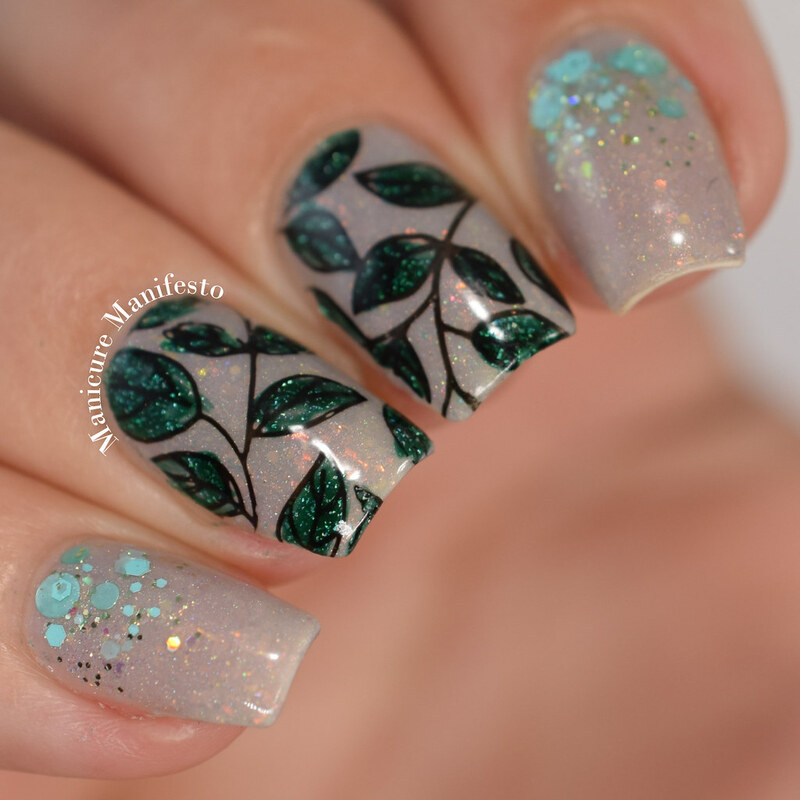 I love natural themes, so this plate featuring an assortment of leaf designs was right up my alley. 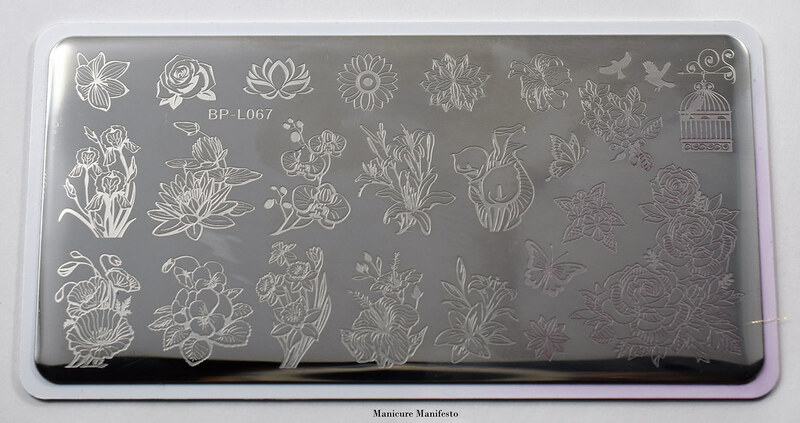 The BP-L047 stamping plate features a variety of leafy designs and works well with pigmented polishes. 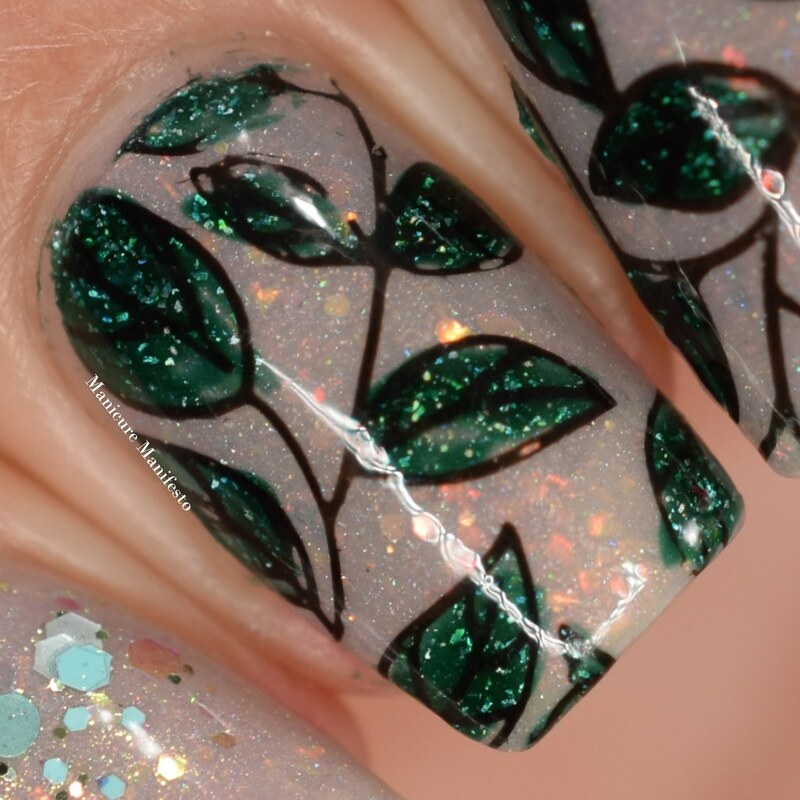 The designs were etched nicely and I was able to pick up nice images using my go to black, China Glaze Liquid Leather, which was a nice surprise since some other BPS plates I've tried have had trouble with non-stamping polishes. 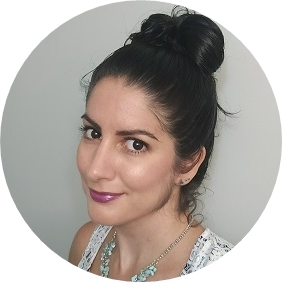 For this nail art I started with a base of Femme Fatale Cosmetics Cracked Cosmos. 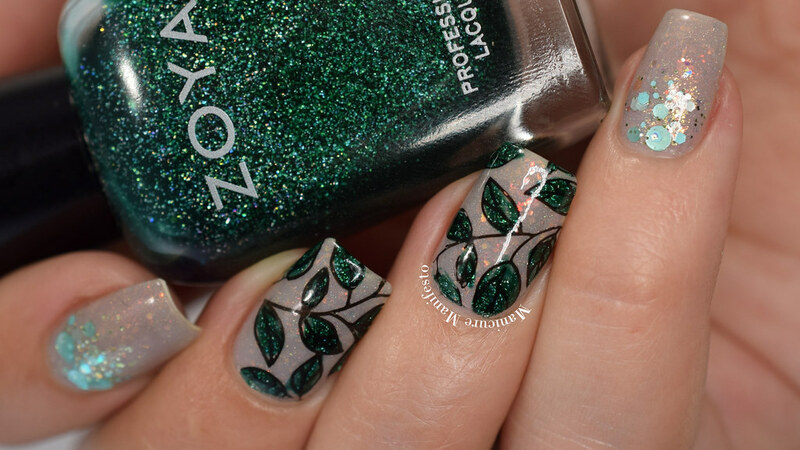 I used China Glaze Liquid Leather and the BP-L047 stamping plate to create the leaf outlines and filled them in with Zoya Merida. 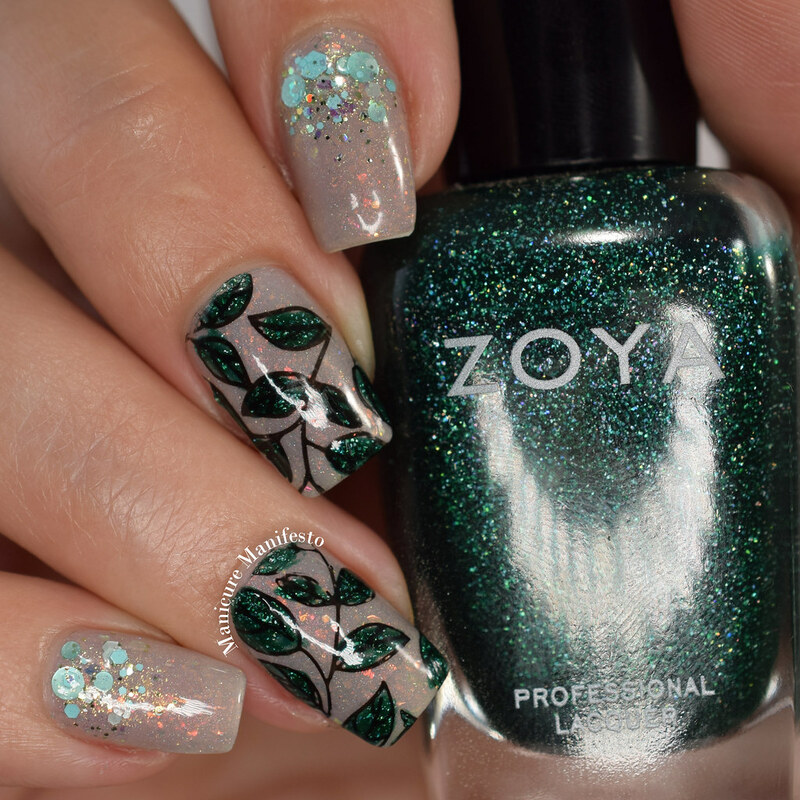 On my index and pinky I used Femme Fatale Mermaiden's Adoration to add a glitter gradient. Photos were taken in daylight spectrum lighting.